Halco Lighting Technologies is easy to do business with; from the friendly live voice of our receptionist to shipments leaving our dock, Halco aims to exceed expectations with every interaction. Knowledgeable, empowered customer care representatives serve as your dedicated in-house contact. 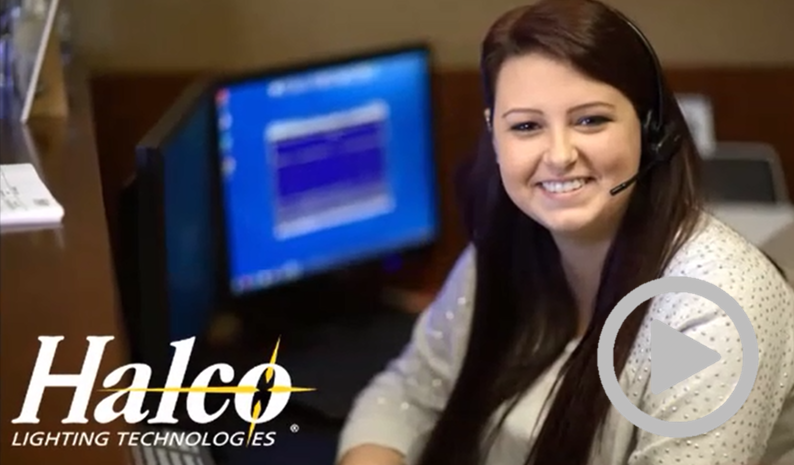 This team receives continuous product and industry training and is responsible for your full Halco experience, including product availability, pricing, order fulfillment and technical support. For your convenience, we also offer a real-time online distributor portal known as MyHalco. Backed by our state-of-the-art enterprise system, MyHalco gives you the ability to place and track orders and view transactions 24/7. Halco Lighting Technologies' national distribution center network of strategically located, fully stocked warehouses in Atlanta, Carlstadt, Cleveland, Houston, Los Angeles and Phoenix deliver to over 85% of the United States same day or next day. Every Halco distribution center adheres to our aggressive service policy to ship orders received by 2:00 PM local warehouse time the same day. Will-call and courier service is also available for your convenience.